On Sunday, June 17, Bob Rutter became the first player in the storied 27-year history of the Montgomery County Yankees to hit for the cycle, during a 22-3 win over the Cheltenham Reds, in a South Jersey MSBL 52+ game played at Russell Elliot Memorial Park in Feasterville, Pennsylvania. Rutter accomplished the feat in his first four at bats. He slammed a two-run home run to open the scoring in the bottom of the first inning, then followed that up with a two-run double in the third inning, a bases-loaded two-run single in the fourth, and finally a leadoff triple in the sixth inning. In addition to his six RBI, Rutter scored four runs. The Yankees left fielder improved his team-leading batting average to .690 (20-for-29). He also leads the Yankees in hits (20), doubles (5), RBI (15), runs scored (19), stolen bases (11), on-base percentage (.727), slugging percentage (1.034) and OPS (1.762). 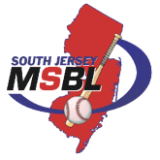 With the win, the two-time defending SJMSBL champion Yankees improved to 9-0 at the midway point of the 2018 season.